MIAMI - Alejandro "Alex" Omes didn't show up to Miami-Dade County Circuit Court for the first day of a $33 million legal battle. Money makes people do terrible things. His brother feared something was wrong. 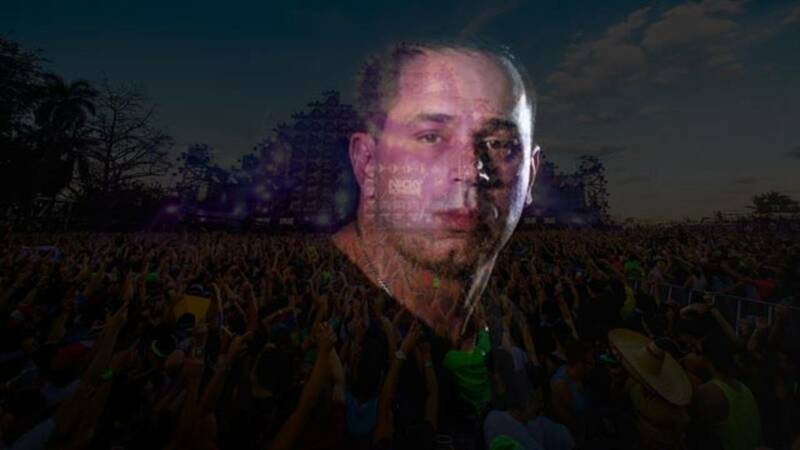 The Ultra Music Festival, one of the largest electronic music festivals in the world, had grown from his vision. His nightmare: he had been pushed out. After four years of fighting to get back in, he was finally getting his day in court. A dream turned into a nightmare for the former Cameo night club bouncer. He was born in Argentina and moved to Miami Beach when he was nine. After graduating from Miami Beach Senior High School, he began the D'VOX magazine and covered the Winter Music Conference, which has been attracting DJ culture stars since 1985. In 1998, Omes, then 28, and Russell Faibisch, then 21, launched the first festival in South Beach. Three years later, Ultra moved to Bayfront Park in downtown Miami. Madonna, Paul van Dyk, Avicii, Deadmau5 were some of the stars featured. The two-weekend event now draws at least 150,000 people annually and licenses its name to satellite festivals worldwide. But it all went down hill in 2010. Now that the festival had reached a platform of immense success, Omes said a greedy Faibisch betrayed him. He had once been one of his closest friends. But Ultra's millions destroyed that. The Ultra Music Festival pumped $79 million into the Miami economy in 2012, an economic impact report Ultra Enterprise shareholders commissioned said. The report also said their operational costs were estimated at $11.5 million. Everyone was making money, except Omes. Omes filed a lawsuit against Faibisch, his former business partner's brother Charlie Faibisch and Adam Russakoff, the brothers' new partner. The lawsuit alleged the three had a secret shareholder meeting to vote him out. Faibisch asked him to sell his Ultra Enterprises shares at $360,000, he said, but he declined. Omes filed the lawsuit because he estimated the value of his shares was really at least $33 million. Attorneys representing Ultra Enterprises filed another lawsuit against Omes to place a value on his 300 shares, which make up 30 percent of the company. Both lawsuits were assigned to Judge John Thornton, of the business division. Omes had been looking forward to the two-week trial. He had a memo drafted in 2005 that specified "management and operational decision-making authority remain with" Omes and Faibisch. Omes wanted to dissolve Ultra Enterprises to establish a new company that would get him back in control. Omes appeared to be in good spirits with his inspirational posts on social media. At 2:47 a.m., Jan. 13, a post on Omes' Facebook said "The secret of freedom is courage." Attorney Aaron Resnick represented Omes, and Peter Valori represented Ultra Enterprises. Both expected Omes to be in court for the opening statements that Monday morning. But neither Resnick nor his older brother Carlos Omes could reach him on his cell phone. Ome's brother contacted Miami police. Police had the property manager at Omes' apartment at The Bank Lofts, 8101 Biscayne Blvd., open the door. "There he was, in bed, unresponsive," Miami police officer Carl Clarke said in his report. Police found one clear plastic baggie with suspicious cocaine residue, Clarke's report said. Miami Police Department sent a copy to Local 10 News Tuesday. The finding was an ironic twist to a sad mystery. Miami Fire Rescue prepares every year to treat a sometimes overwhelming number of Ultra attendees who engage in uncontrolled drug use. Miami-Dade Fire Rescue pronounced him dead at 11:05 p.m., Jan. 12. Omes was 43. He left a 12-year-old son. It's unclear if he stands to inherit the Ultra Enterprise Inc. shares. Suspense is building among his loved ones in need of closure. It has been nearly a month, and the medical examiner's report has yet to release what caused Omes' death.